Anushtup Chatterjee is thirty-two years old. He hates his mother. His job is a dead end. And his girlfriend has left him. Then one silent moonlit night, he wakes up in a deserted field in the middle of nowhere, with no recollection of where he is or how he got there. His wallet is gone. So is his cell phone. He is not alone though. There is another man there, a stranger with a gentle voice and a humble mustache, who has something rather unbelievable to say to him. That he, Anushtup Chatterjee, has already died. Mysterious and achingly poignant, Arnab Ray’s Yatrik is a story about hope and aspiration, love and regret, of the choices we make and those that life makes for us. Arnab Ray’s novel Yatrik is a fascinating, fast paced read about looking back at life from the threshold of death, at secrets that surprise us. The novel mixes realism and the fantastic superbly, and gives us characters that we learn to love in spite of their flaws. Releasing on Kindle and in print September 2014. 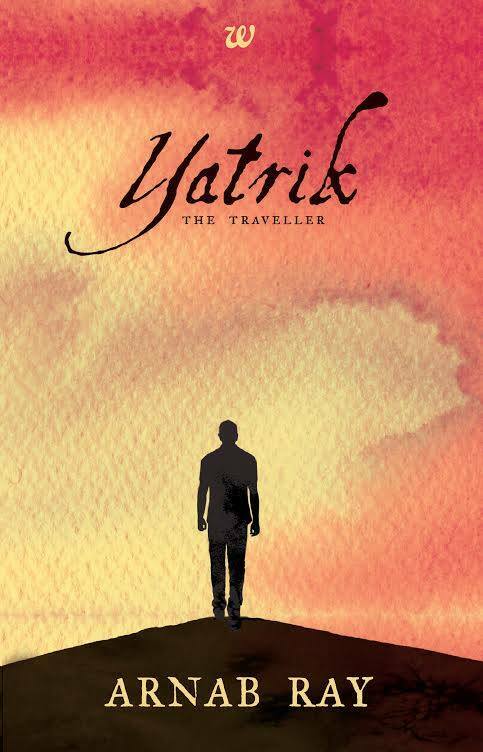 Recently finished reading Yatrik and quite enjoyed the book. Did get bothered by your reference to Keo Karpin “Coconut Oil” because it was always Hair Oil and coconut oil was Parachute, used by the non-Bengalis. Oversight? One other thing that I noticed was you mentioned money as ‘hundred thousand’ in a few places as opposed to lakhs. Any reason? Since otherwise you have stayed true to the usage of colloquial prose throughout the book.